Dr. John J. Orris is a partner at Main Line Fertility and the Division Head of Reproductive Endocrinology at Main Line Health System. He uses a mixture of science and respect to help patients fulfill their dreams of becoming parents. Each of his patients become family for life, and the opportunity to help them build their family is an honor. With a distinguished track record in reproductive medicine, Dr. Orris has demonstrated his expertise in reproductive endocrinology and infertility issues. Dr. Orris’ special interests include Assisted Reproductive Techniques, IVF, ICSI, preimplantation diagnosis and screening. Dr. Orris serves as an Associate Professor at the Drexel University College of Medicine and a Clinical Educator for Thomas Jefferson University. As the Fellowship Director for Reproductive Endocrinology and Infertility for Drexel University College of Medicine and Main Line Fertility, Dr. Orris is committed to supporting the education and mentorship of future physicians. Considered a leading authority on reproductive endocrinology and infertility issues, Dr. Orris is the President of the Philadelphia Area Reproductive Endocrinology Society (PARES). He also serves on the Editorial Board of the American College of Osteopathic Obstetricians and Gynecologists (ACOOG) where he is a distinguished fellow. Board-certified in Obstetrics, Gynecology, Reproductive Endocrinology and Infertility, Dr. Orris received his certification from both the American Board of Obstetrics and Gynecology (ABOG) and the American Osteopathic Board of Obstetrics and Gynecology (AOBOG). Dr. Orris’s medical training and clinical experience has helped Main Line Fertility become a thriving practice that provides the highest quality of care for patients. He received his undergraduate degree in Neural Systems and the Biological Basis of Behavior at the University of Pennsylvania in 1990. In 1995, Dr. Orris completed his medical training at the Philadelphia College of Osteopathic Medicine where he received his Doctor of Osteopathic Medicine degree. In 1993, Dr. Orris’ acquired his Masters of Business Administration in Medical Management at St. John’s University while attending medical school. After completing medical school, Dr. Orris completed a rotating internship at St. Luke’s Hospital. He completed his residency in Obstetrics and Gynecology at the Lankenau Hospital in Wynnewood, Pennsylvania. 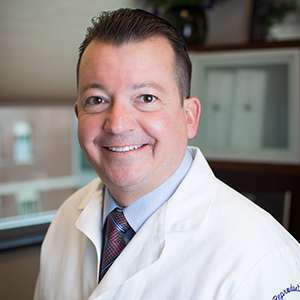 Dr. Orris served in a fellowship position in Reproductive Medicine and Infertility at the University of Connecticut for three years before developing his own practice. Dr. Orris is the founder of MLF’s first anonymous egg donor program and oocyte bank. The Philadelphia Obstetrical Society and Resolve.